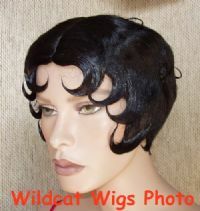 Cute litte wig in the famous Betty Boop style! 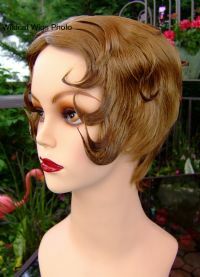 NOTE: THE BLACK, STRAWBERRY BLONDE, AND THE CHESTNUT BROWN ARE NOT AVAILABLE AT THE CURRENT TIME. THANKS. PLEASE DON'T PURCHASE THESE COLORS.